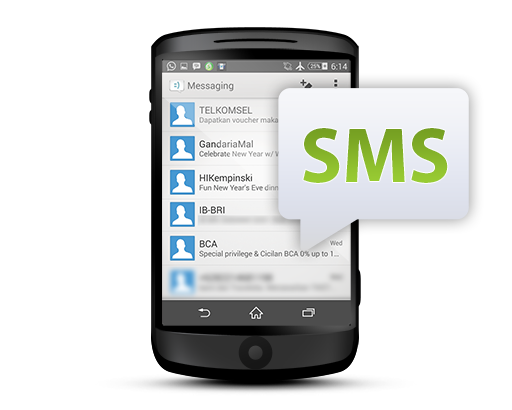 SMS credit available from 5 different currencies, top-up your credit balance with single currency you choose. Bangladesh +880 47002 Axiata Bangladesh Ltd.
Bangladesh +880 47007 Bharti airtel Bangladesh Ltd.
Belgium +32 20610 Orange S.A.
Greece +30 20201 Cosmote S.A.
Greece +30 20205 Vodafone-Panafon S.A.
Greece +30 20209 Wind Hellas Telecommunications S.A.
Italy +39 22235 Lycamobile S.r.L. Italy +39 22201 Telecom Italia S.p.A.
Italy +39 22210 Vodafone Omnitel N.V.
Netherlands +31 20408 KPN Mobile The Netherlands B.V.
Netherlands +31 20412 KPN Mobile The Netherlands B.V.
Netherlands +31 20402 Tele2 Nederland B.V.
Netherlands +31 20404 Vodafone Libertel B.V.
Netherlands +31 20403 Voiceworks B.V.
Spain +34 21415 BT Group Espa�a Compa�ia de Servicios Globales de Telecomunicaciones S.A.U. Spain +34 21418 Cableuropa S.A.U. Spain +34 21422 Digi Spain Telecom, S.L. Spain +34 21419 E-PLUS Moviles Virtuales Espa�a S.L.U. Spain +34 21420 Fonyou Telecom S.L. Spain +34 21421 Jazz Telecom S.A.U. Spain +34 21425 LycaMobile S.L. Spain +34 21429 Masmovil Ibercom, S.A.
Spain +34 21417 R Cable y Telecomunicaciones Galicia S.A.
Spain +34 21427 SCN Truphone, S.L. Spain +34 21416 Telecable de Asturias S.A.U. Spain +34 21432 Tuenti Technologies, S.L. Thailand +66 52004 Real Future Company Ltd.
Thailand +66 52005 Total Access Communications Public Company Ltd.
Timor-Leste +670 51401 Telekomunikasi Indonesia International (TL) S.A.
Turkey +90 28601 Turkcell Iletisim Hizmetleri A.S.
Turkey +90 28602 Vodafone Telecommunications Inc.
United States +1 311230 Cellular South Inc.
United States +1 31060 New-Cell Inc.